Kid Possible Worldwide – Challenge minds and hearts to make amazing things happen! Kind hearts and minds come together to make amazing happen! Click below to get connected with us today! Collecting birthday cards for World War II Army Veteran Harold Brosowske. His birthday is February 25th 1919, which would make him 100 years young this year! We are asking schools, clubs and sports teams and families to create cards to share with this amazing hero who served with the 86th Battalion in Texas during WW2. He has an amazing family that he is very close with and loves to spend time with. When Kid Possible Worldwide heard and made contact with Harold’s wonderful granddaughter, Becky Yaworski about his birthday we knew we could connect others to bring even more smiles to this veteran’s special day! Kid Possible Worldwide is bringing out the best in all children by challenging their hearts and minds to be better students, family members and citizens! We provide proactive opportunities to challenge kids to take charge of their futures and make amazing things happen in their daily lives! We created a proactive program to connect kids to resources and positive news to create an amazing future and be the positive difference we need! If you watch or listen to any news there are not many positive stories being shared especially about our children. We hear stories of bullying and challenges that don’t end in a positive way. Well we are stepping up in many ways to provide positive action steps to create a positive today and tomorrow! 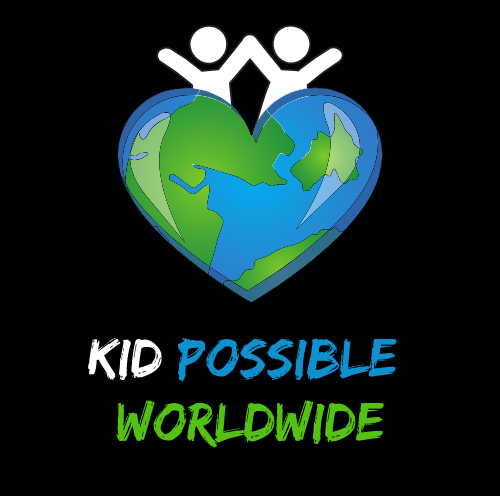 Kid Possible Worldwide has a program for others that challenges the minds and hearts of each involved, to support their overall growth and help them succeed beyond expectations! We challenge others and provide them with positive stories and quotes to connect and lift their spirits to take positive actions daily! Any Questions Contact Us Below!